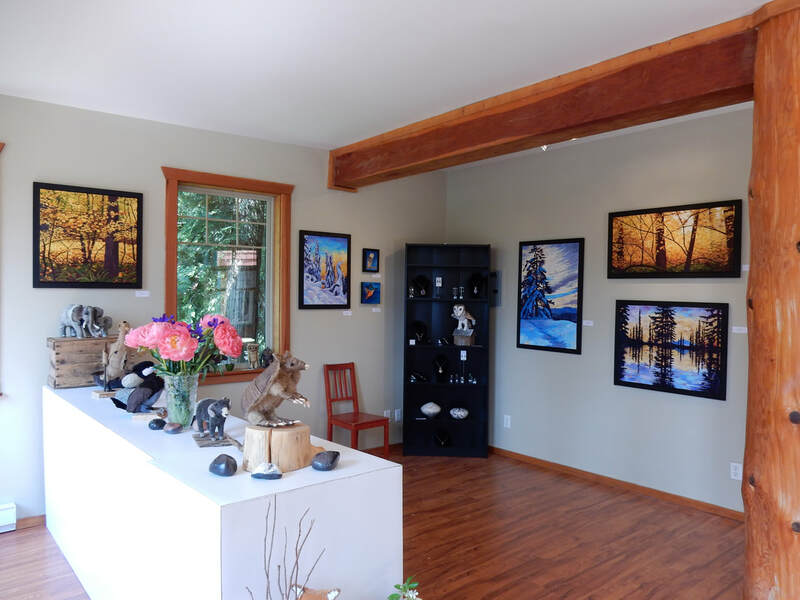 2019 1st February - April 21st, Two person show with Jeanne Erickson, Galiano Inn. 2018 31st October-13th January 2019: Show at Galiano Library. 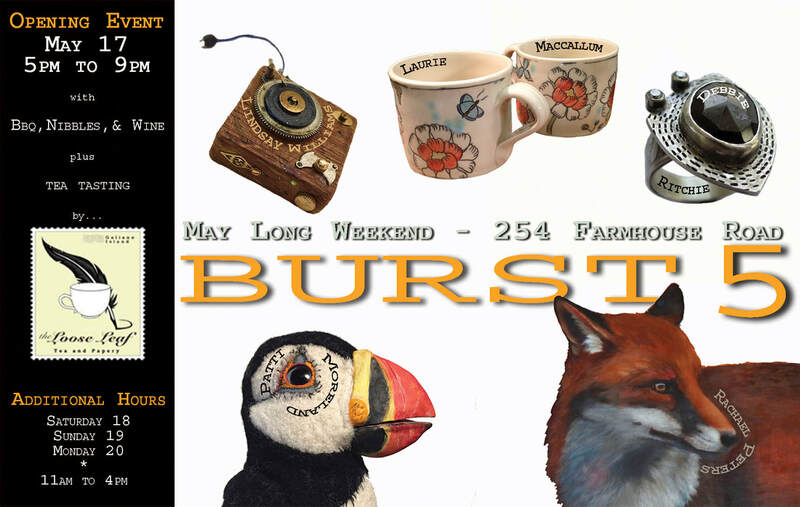 June- November, guest artist at Black Bird Studio, Galiano Island. 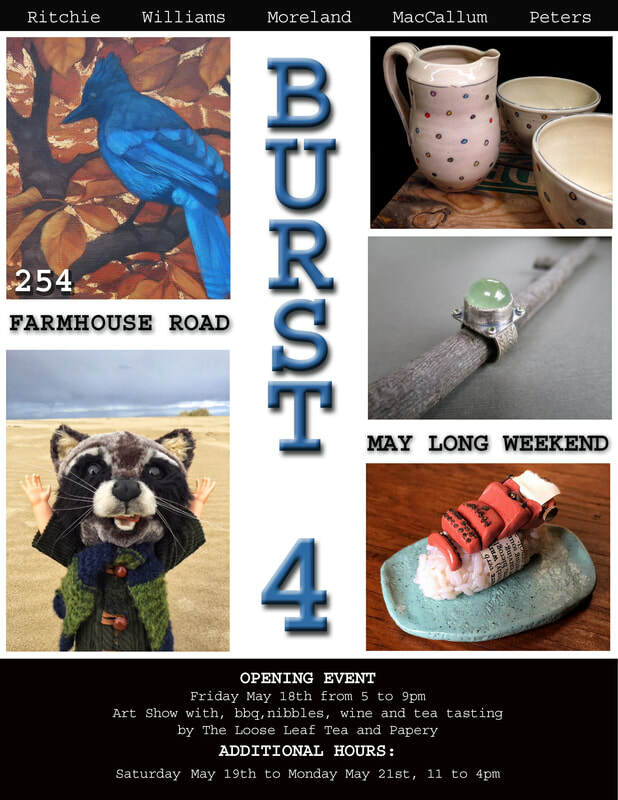 2017 'Burst' group show. 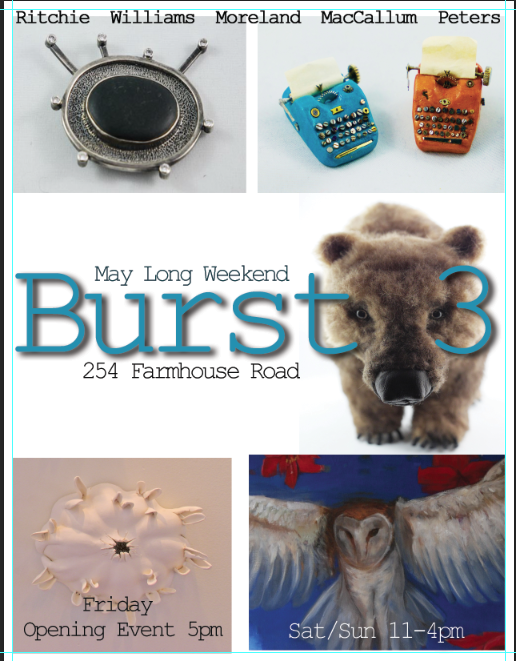 Guest artist at Black Bird Studio Gallery, Galiano Island. Festival Active Pass group show, Mayne Island, B.C. 2016 'Burst' group show. Guest artist at Galiano Wine Festival. 2014 Guest artist at Bodega studio gallery summer show. Galiano Island. 2013 Guest artist at Bodega studio gallery summer show. 2011 Swoon gallery, Halifax, NS. Solo show. 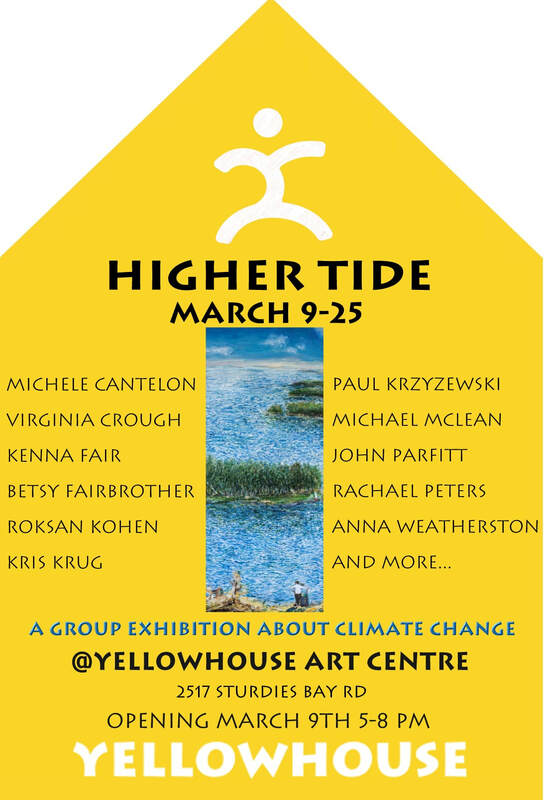 Ayrspace gallery, Ontario, group show for International Womens day. 2010 Swoon gallery, Halifax, solo show, 'Snow'. Leighdon gallery, Vancouver, 'Snow'.